Barrington Draperies and Shutters, Inc.
Family owned and operated with over 70 years of experience in interior decorating, Barrington Draperies and Shutters is the largest source of custom shutters, blinds and draperies in the Northwest Chicagoland area. 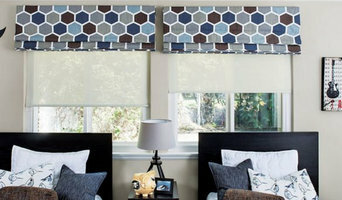 Specializing in window fashions, custom bedding and upholstery, we strive to provide you with the finest in quality interior decorating products and service, including the full line of Hunter Douglas™ products. We offer free in-home consultation by one of our experienced decorators, or you may stop in and visit our beautiful showroom located in the heart of downtown Barrington. Our expansive showroom is designed to provide our customers with a comfortable experience when browsing our wide range of custom window treatments, fabrics, blinds, shutters, and screens. 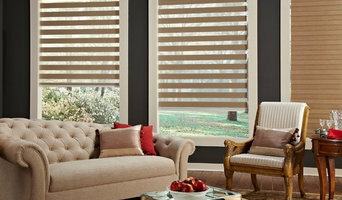 *Hunter Douglas Authorized Dealer* We are the husband and wife team that have been servicing your area since 1972. 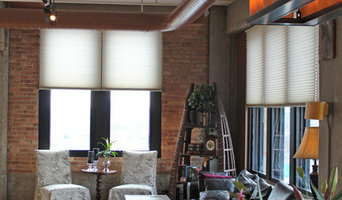 We specialize only in Hunter Douglas products & custom made draperies and top treatments. We are proud to have been selected by Hunter Douglas as an EXCLUSIVE ALUSTRA COLLECTION SHOWCASE PRIORITY DEALER. A step above the rest, this line of Hunter Douglas offers exclusive fabrics, unique hardware finishes and innovative systems.This truly is a line of products for the style-conscious consumer who is looking for the " luxury" in window coverings. 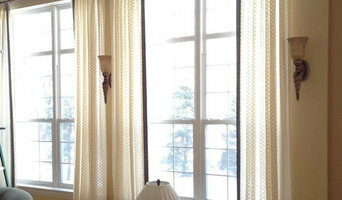 We are both Master installers and we come to your home to assist you in your selection of window coverings. We measure and install. These services are always FREE! discounts along with consumer rebates. Free measuring. Free installation. Free shop at home. We are almost finished with our Spring 2019 show season. We will be at the Home & Garden Show at the Lake County Fair Grounds in Grayslake on April 27th Saturday & 28th Sunday from 10am to 5pm. Our last show for Spring will be the Home and Lifestyles Expo at Woodfield Mall in Schaumburg. We will be in the center of the mall located at the bottom of the escalator. This is Friday May 3rd & 4th Saturday from 10am to 9pm. Sunday 5th from 11am to 7pm. We will be announcing our Fall shows in June. Once again we will have new displays and new fabrics, along with our new energy saving products. On display we will be operating the new PowerView motorization operating system to control your shades from an IPhone or IPad and talk to our shades with Alexa! 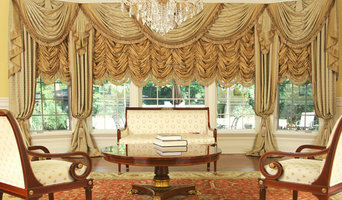 Both motorized and standard controller shown .We also show custom cornices and draperies. Check out our Angie's List reviews. And find us on Houzz.com Call us for free tickets at 847-844-9944 Measuring and installation by a Hunter Douglas trained certified Master Installer. No subs. May contact through email or phone 847-844-9944. Award winning.